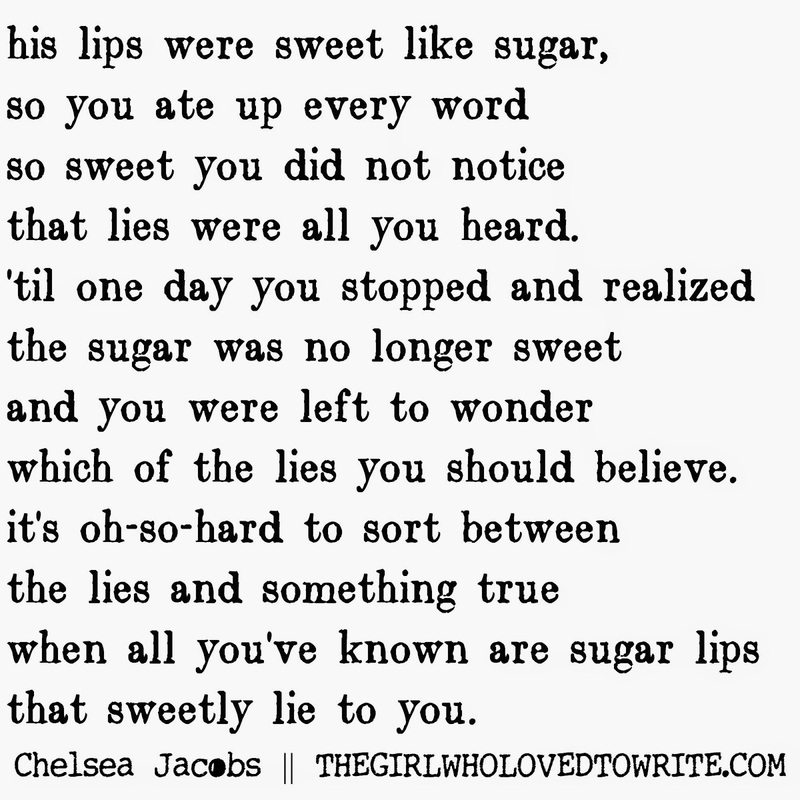 Just Write: Sugar Lips. | The girl who loved to write about life. so you ate up every word. that lies were all you heard. which of the lies you should believe. that sweetly lie to you. I mean, you are amazing. How long do you usually work on one piece for? ooh, I'd love to know that, too! Love it! And I don't even usually like poetry all that much. This is fabulous! I can totally hear this tune in my hear - I love it! Love this! You are amazing, friend! It is really nice to read some poetry in the blog world :) I really love this! oh the pain of sweet sugary lies. You should start a linkup where you share pieces of creative writing! I would love to share some bits, too! So beautiful! I feel like I need to turn this one in to a song.